A difficult aspect of life as a working (or even not) fulltimer is data access. RV parks are notoriously bad at wifi, worse than hotels, internet cafes, etc. One park we stayed at last year even had a data cap of 500mb/day on top of terrible wifi service. The only reliable way to get good data is with LTE, but data can be expensive, and signals are elusive without the proper equipment. I covered some of the hardware I use in a previous post, but how about actual data access? There is in fact very good news for those in Rogers coverage areas. Surprisingly, Rogers has data only plans that are among the best in North America. 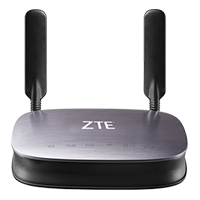 For heavy data users like myself, the Flex Heavy plan (requires purchasing their ZTE MF275R Rocket Hub) is a life saver and a money saver. At the highest level you’re getting 100GB for $145CAD, or $1.45 per GB. That is unparalleled among any US or Canadian provider (unless you have specific grandfathered data plans). You never have to worry about overage either, as each GB over is only $5. Most US plans will charge around $15/GB over their top levels. Data rates are pretty decent as well. I typically get around 25Mbps down and up without using a cellular booster. With this plan we’re able to work and play without worry about expensive bills.